Looking for a place to hang out this weekend? Then there’s good news! 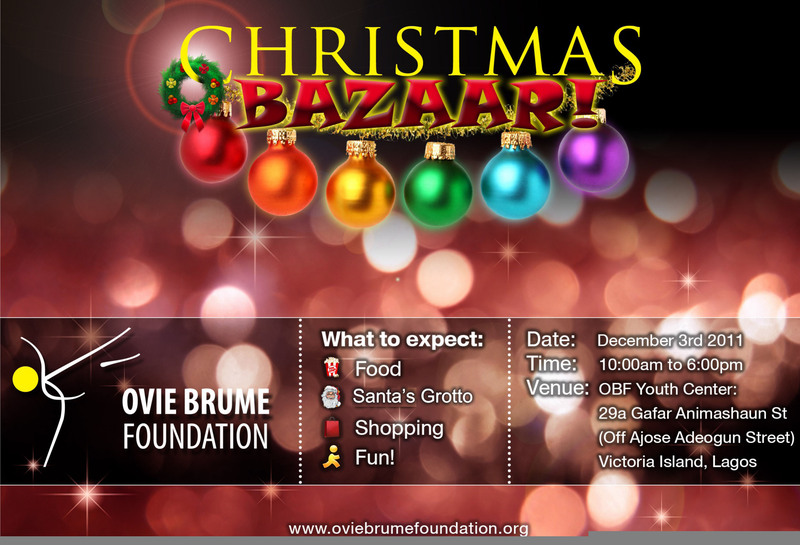 The Ovie Brume Foundation is having its annual fundraiser and Christmas Bazaar on Saturday, December 3, from 10 am to 6 pm. The bazaar will hold at its youth centre, at 29a Gafa Animashaun street (beside Cakes and Cream), off Ajose Adeogun, Victoria Island. – Great shopping and our new vintage clothing store! Not only will you be able to pick up great bargains and give the children a fun day out, but you would also be supporting the work we do with children in government schools on the Lagos Island. For more information on the Foundation, please visit www.oviebrumefoundation.org. If you would like to make a cash or kind contribution or take a stall at the Bazaar, please contact Christal on 08066372799 or Lois on 08022951591. 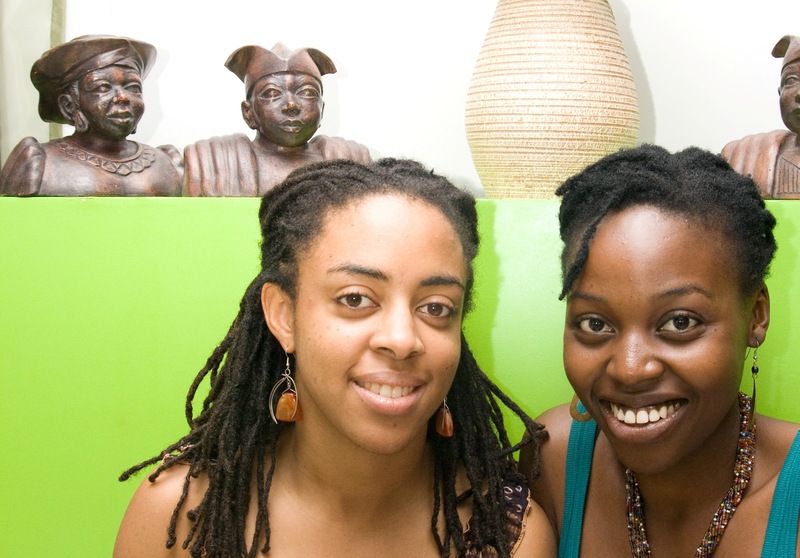 Simidele Dosekun and Yinka Ibukun met at Kachifo Limited. Three years later, they have launched EditIQ, a company of their own which helps organisations and individuals produce writing that is clean, clear, and compelling. EditIQ’s service is discreet and efficient, working with a network of freelance editors in Nigeria and abroad. It specialises in editing and proofreading reports, proposals, press releases, articles and Web content. It also offers a special package to jobseekers who want editorial support with their CVs and cover letters. “Editing is too often taken for granted and that is what we want to concentrate on,” says Yinka, who turned to journalism after working as managing editor of Farafina Magazine. “But we are also putting together business writing workshops and CV clinics because we also want to teach people to edit themselves.” EditIQ will also be offering French-English translation services in the coming months. To learn more about EditIQ’s services, please visit www.editiq.com or email info@editiq.com. For free writing and editing tips, and information about related training opportunities, events and more, you can sign up for EditIQ’s bi-monthly newsletter on their website, follow EditIQ on Twitter (@editiq) and join their Facebook page (http://on.fb.me/tXeBNP). Looking for a place to relax this weekend? 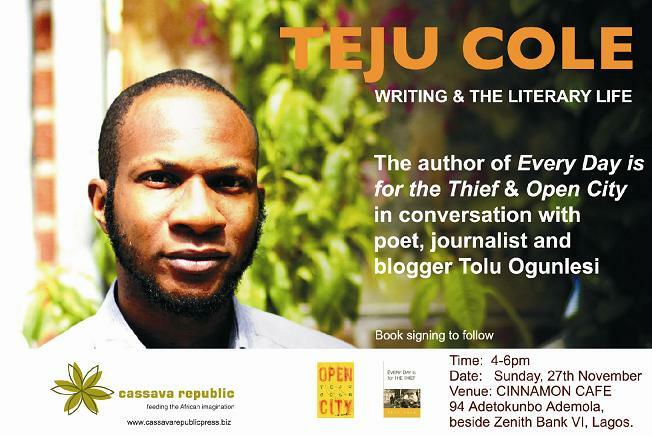 Then join Teju Cole, author of Every Day is for the Thief and Open City, from 4-6 p.m. on Sunday, November 27 at Cinnamon Cafe, 94 Adetokunbo Ademola Street, beside Zenith Bank, Victoria Island, Lagos, for readings and conversations on writing and African literature. Joining Teju Cole will be Tolu Ogunlesi, one of Nigeria’s leading young voices, and they will be discussing life and art in the city, writing and publishing, among other subjects. You can join in and get your books signed afterwards. Please call 0818 580 1657 or email info@cassavarepublic.biz for more information. If you haven’t already sent in your entries for the Commonwealth Book Prize or the Short Story Prize, now is a good time to do so. You can read the details below. 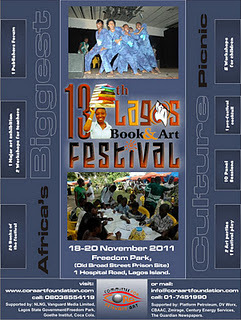 The festival will run from November 18-20 and the main venue is Freedom Park, Broad Street, Lagos. There will be pre-festival events from November 14, which include the Publishers’ Forum on the 17th. Kids are not left out of the fun. Along with book readings, discussions and drama, there will be a kiddies segment that promises fun and learning. There will also be a special combined birthday party for Charly Boy, Taiwo Ajai-Lycett, Joke Silva and many others. Be sure to keep your schedules open; you wouldn’t want to miss this. 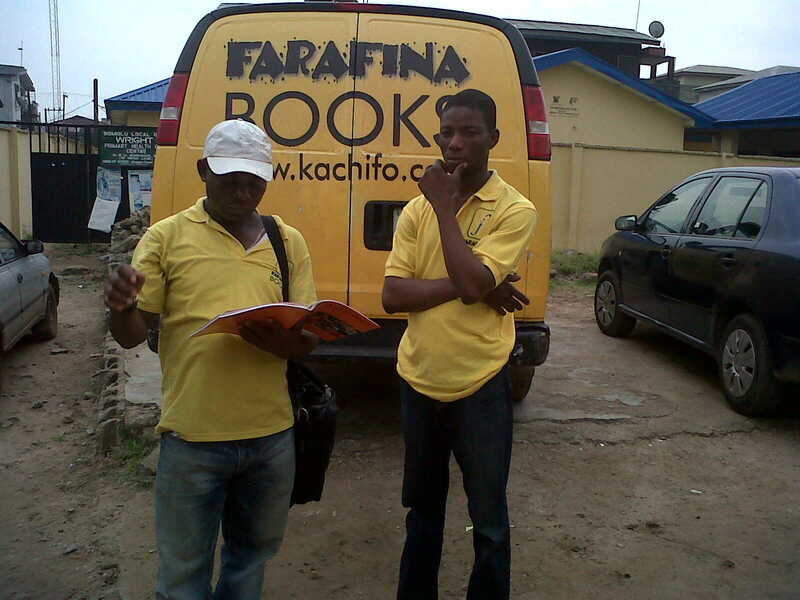 Should Farafina publish romance novels? Have you ever thought, “It would be really nice to read romance from Farafina.” Or, “I’m sure glad Farafina does not publish romance novels.” Either way, we would love to know. Help us meet your reading needs by participating in our quick poll. Thank you. Your opinion matters to us. 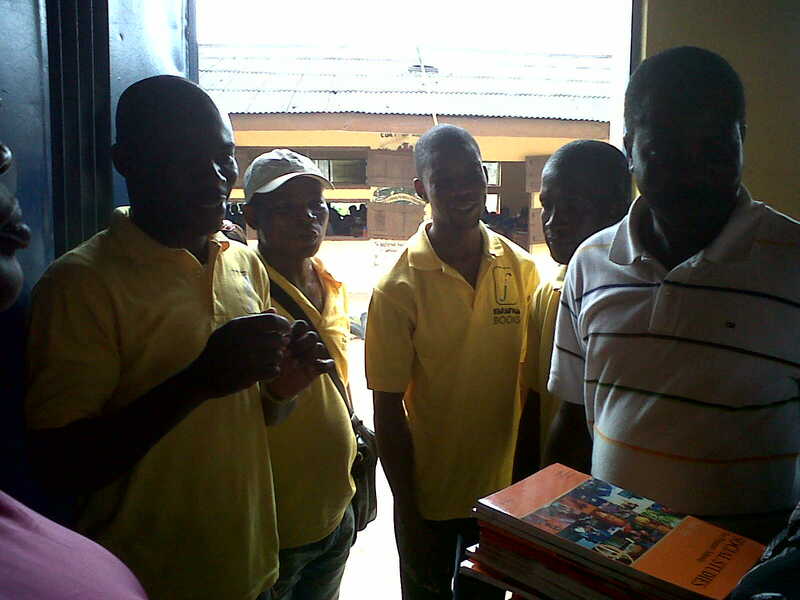 Last month, Kachifo Limited took the opportunity to give back to society by taking part in the annual Back to School Program put together by the United for Kids Foundation (UKF). United for Kids Foundation is an organization established exclusively for charitable and educational activities aimed principally at needy children in Nigeria. Every year, UKF plans a Back to School Program which is aimed at getting kids on a good footing at the beginning of each school year, and essentially involves volunteering time to help UKF share school bags filled with school supplies at different schools and homes. 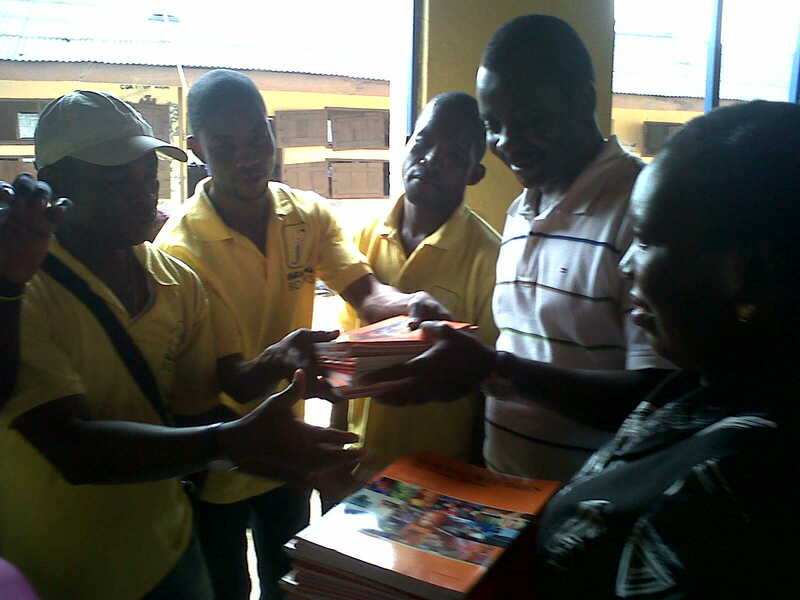 Kachifo Limited staff joined in distributing books and bags to students of Wright Primary School, Somolu. Below are pictures from the event.